Annals of Forest Science is a peer-reviewed, multidisciplinary journal for forest and wood science. It is owned by the French research institute Inra (Institut National de la Recherche Agronomique). It was published by EDPSciences from 2000 to 2010, and by Springer from 2011. The current issue of the journal is available on the publisher website. 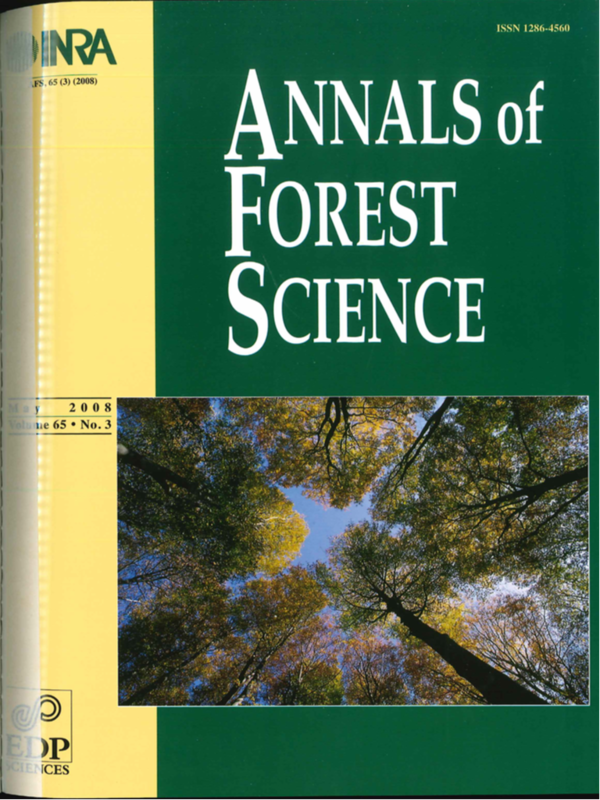 Annals of Forest Science is a "Green Open Access" journal, you can access all articles older than 12-months on this archive. You may browse the archive by years, by volumes, or by using the search facilities of any web-browser. Titles, date, author names, volumes may all be used as entry to the content of this archive. 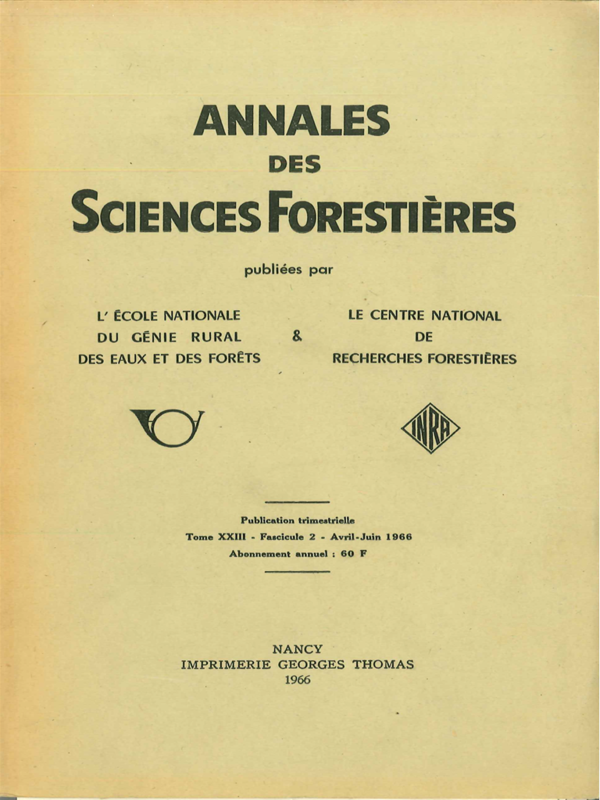 Annals of Forest Science succeeds Annales des Sciences Forestières. To access the articles published between 1964 and 1998, please see the archive named "Annales des Sciences Forestières" at https://hal.archives-ouvertes.fr/ARINRA-ADSF. 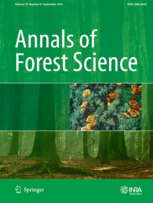 Annals of Forest Science is an international journal that publishes articles describing basic and applied research about forest science in the context of global change. Extended data bases made available to a wider community.